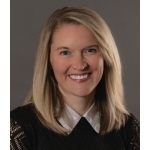 Enterprising, skeptical and communicative: These are three words that Jessica Balsam, associate director of prospect management at the University of Washington, uses to describe herself. Balsam is the recipient of the 2016 Distinguished Service Award, which was established to honor individuals who have enhanced both the field of prospect development and Apra through exceptional contributions beyond their daily paid work. Adopting an enterprise-wide lens has helped Balsam and her team better evaluate how their work interacts with other parts of the organization. “In prospect development,” Balsam said, “we’re working as part of a larger system.” That big-picture perspective is strengthened by her skepticism — or, as she described it, “not taking things at face value.” Balsam is always eager to dive in to background research and data analysis to investigate trends. Especially in a large university setting, it is vital to understand the context of the questions her team is trying to answer. But Balsam believes discovering those answers is only part of her work. “Sharing the information we find with broader audiences is critical to our field,” she said. She feels strongly about making sure information gets shared in a way that encourages people to actually consume it. Balsam’s approach has been honed not only by her work at the University of Washington, but also through her many years of service to both Apra and her local chapter. She served for six years on the board of Apra-Northwest, including a four-year term as president, and has volunteered in many other roles with the group. “I had some previous experience on nonprofit boards, but those roles were more traditional board positions focused on overall leadership and strategic direction,” she said. “In an Apra chapter, it is like you are taking on both those board duties and the staff duties.” Balsam has taken part in nearly every facet of chapter operations. She credits Betsy Cooper, director of college relations information systems at Reed College, and president of the Apra-Northwest chapter when Balsam first joined, with shaping her professionally. “Betsy had a remarkable leadership style that was simultaneously laid back and proactive. She knew just what kind of support the group needed from her at exactly the right time,” Balsam said. Balsam’s volunteer efforts extend beyond Apra. Her nominator, Susan Hayes-McQueen, the University of Washington’s senior director of prospect management, research and analytics, noted that “smaller nonprofit organizations in the Seattle area call upon Jessica to help them understand and grow their ability to work in prospect development.” She has also been asked to present at CASE and NDOA/AFP conferences. Most recently, Balsam has been collaborating with a fundraiser colleague to study the habits of higher-performing major gifts officers. She and her colleague presented their findings in an extremely well-received Apra webinar in May 2016. Additional presentations are being planned for the Engineering Development Forum and the CASE International Talent Management Conference. Balsam is excited about the possibilities of unstructured data. She can see a future where sentiment analysis or new data mining techniques may eliminate the need for over-structured contact report forms. She looks forward to moving away from printed reports as portable screens and interactive reports become more ubiquitous. 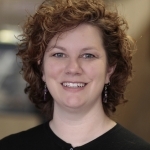 Becky Fullmer is associate director of prospect management in university development at The Ohio State University and is a member of the Apra editorial advisory committee. I am one of the luckiest people in the world to work alongside this amazing woman. thank you Jessica!